Working initially from NewMarket, then later to Toronto, HVAC has been in its current Vaughan offices since 2012. Over the years, BBG HVAC has incorporated new specialisms to offer a comprehensive service to our customers. We expanded to include pipework in 202, followed by electrical systems in 2013, air conditioning services in 2014, and kitchen ventilation in 2015. Our great and long-lived reputation is proven by the regular customer testimonials praising our service and products. BBG HVAC is a niche recruitment consultancy that prides itself on having a deep understanding of the HVAC industry in Toronto. We help companies to acquire and retain a productive and fulfilled workforce. We help candidates achieve their career potential. 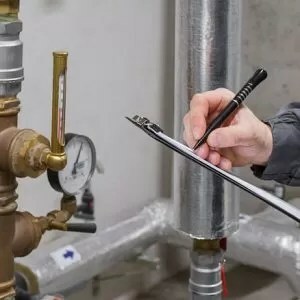 We have fostered strong relationships with HVAC manufacturers and we further our knowledge of the industry by conducting regular research in our specialist field. Recent studies have included research into the qualities of high performing sales people, salary levels nationally and the best HVAC companies to work for in Toronto. Our research led approach to recruitment allows us to inform both employers and candidates in our chosen sector and we regularly contribute to news items and intelligence in the HVAC press. Why work for BBG HVAC? Forget everything you’ve heard about recruitment companies in the past. At BBG HVAC we do things a little differently. We’re a niche engineering recruitment consultancy working with employers in the HVAC sector and because we operate in a specialist field we have to know our market really well. Our clients have a need for experienced sales and engineering talent and we pride ourselves on providing quality candidates rather than large quantities of CVs and applicants. Working for a niche practice like ours can be extremely rewarding. We focus on small sectors which means you’ll get to know your clients and candidates really well. We prefer to focus on building relationships rather than cold calling. We support flexible working and have the systems and infrastructure in place to facilitate this. Ours is a team business and we work together to achieve company targets rather than setting individual benchmarks. Regular team meetings encourage strong communication throughout the business and ensure each member of staff feels valued and listened to. We believe that business success depends on having quality people working together to achieve common goals. Personal development is crucial to this process which is why we are committed to investing in the training and development of our employees. The HVAC sector is currently extremely buoyant and demand for our services is high. This is an exciting and evolving industry that is likely to generate excellent opportunities for our recruiters to develop their own specialisms. As we grow we want to be able to facilitate your career progression. In short, if you have the work ethic and aptitude, we have the opportunity. At BBG HVAC we believe that modern businesses like ours thrive on adaptability and an ability to inspire their employees and deliver service to their clients. We strive to create a culture of openness that creates a flexible and collaborative workplace where people want to give their best and feel motivated to achieve. We don’t focus on targets and KPIs. Instead, we put the emphasis on delivering service and listening to our clients’ needs and priorities. At BBG HVAC success is a team thing. If our clients are happy and our candidates have found their dream job, we’ve all hit target. Good communication is a cornerstone of our business ethos. Weekly team meetings create a sounding board for ideas as well as an opportunity to address concerns. Our procedures have been designed to facilitate work and enhance communication.